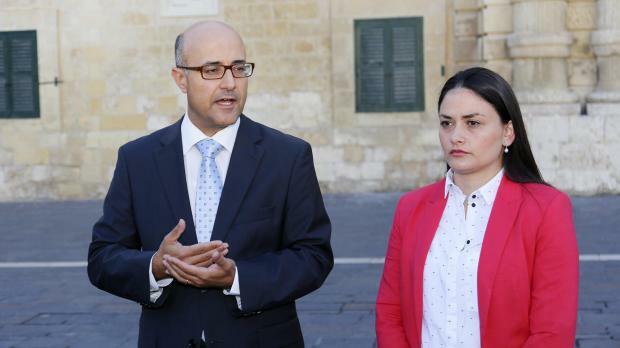 Jason Azzopardi has described as "a serious threat" a parliamentary declaration by Home Affairs Minister Manuel Mallia that disciplinary action would be taken against police officers who leaked inside information. "The government's mask has dropped... Such a declaration goes against the spirit of the whistleblower act," the Opposition home affairs spokesman said. In Parliament this week, Dr Mallia warned that disciplinary action would be taken against police officers who divulged information they became privy to as a result of their duty. Speaking this morning outside Parliament, Dr Azzopardi questioned whether this behaviour gave police officers the confidence to uncover abuse. "How is it possible for any official to report abuse with such a threat hanging on his head?" Dr Azzopardi said this was the worst form of bullying tactics that took the country back to the 1980s. He also condemned Dr Mallia's recent outburst against a Times of Malta journalist, who asked about pending inquiries during the opening of a mobile police station in Marsascala. Dr Mallia took umbrage at the questions put to him, asking the journalist with whom he worked before joining the newspaper. "This is intimidatory behaviour," Dr Azzopardi said. Alessia Psaila Zammit, a PN candidate, said any minister who was confident that the institutions that report to him are transparent and with adequate safeguards against abuse, did not need to resort such tactics unless he was aware of wrongdoings. In a reaction, the Ministry of Home Affairs said minister Manuel Mallia never threatened the members of the uniformed forces not to give information to journalists but he warned against the leaking of information which the officers would have been privy to in virtue of their post or appointment, information which, if published, could hinder criminal investigations. This had nothing to do with the Whistleblower Act which was aimed at stamping out corruption and identifying the criminals.